Courses for 16-18 year-olds. 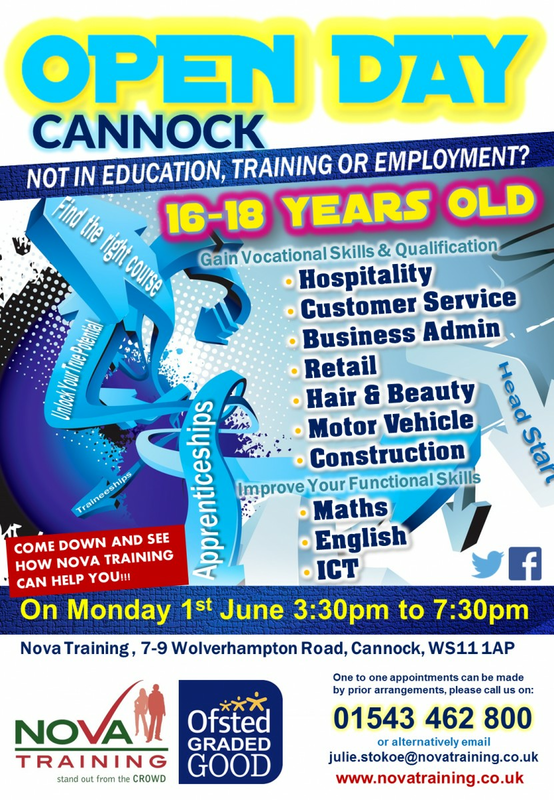 Come to our Open Day on Monday 1st June 3:30pm to 7:30pm in Cannock and find out how we can help you! You will have the opportunity to speak to teachers, find out more about our courses, meet current learners and view our facilities. There is no need to book, just turn up on the day and see the range of opportunities we have available. Please follow us on Twitter @novatraining for regular updates on our 2015 Open Days.